Below are some links to articles about pre-Shortzian constructors. This page is a work in progress, so if you find an article on a pre-Shortzian constructor that you think should be included here, please contact me. "Get inside the mind of puzzler Cathy Allis," by Tom Keyser. Times Union, February 18, 2011. "Farmer Uses Spare Time On Puzzles." The Salt Lake Tribune, December 3, 1937. "Alvin Ashby Rites Held." Davis County Clipper, November 21, 1979. Obituary. "crossword puzzle." Encyclopædia Britannica. Article mentions Bers. "Harold Bers, 47, ad writer, dead." The New York Times, October 15, 1961. Obituary. "Crossword-Puzzle Contributor Alex F. Black Dies at 86," by Patricia Sullivan. The Washington Post, May 22, 2005. Obituary. "News Notes," The Psychiatric Quarterly, 1962. Brief biography. "Dr. James A. Brussel, Criminologist, Is Dead." The New York Times, October 23, 1982. Obituary. "'Chances are he will be wearing a double-breasted suit. Buttoned.' James A. Brussel." Profiles of Murder, April 7, 2012. "Emory Cain, Worked for Newspapers," by Ray Lynch. Sun-Sentinel, September 15, 1989. Obituary. "Betty Jane Cometa." Beach Haven Times, November 5, 2015. Obituary. "Obituary: Walter Covell, 91." The Block Island Times, November 24, 2008. "Chet Currier: 1945–2007. Associated Press, Bloomberg News," by Natalie Cooper. American History of Business Journalism [ABHJ], March 2013. Obituary. "Warwick Artist's 90th Birthday Retrospective." Warwick Valley Dispatch, September 14, 2005, p. 10. "Puzzle Master," by Margo Harakas. Sun-Sentinel, December 16, 1997. "H. Ettenson, 84, Edited Puzzles," by Patty Pensa. Sun-Sentinel, November 18, 2000. Obituary. "Josephine Felker, N.Y. Times Crossword Puzzle Composer," by Lydia Martin. The Miami Herald, August 9, 1991. Obituary. "ANNE FOX." The New York Times, December 21, 1983. Obituary. "Construction worker Bernice Gordon, 95, has been coming across with downright nifty crossword puzzles for 60 years," by Peter Mucha. Philly.com, September 24, 2009. "Longtime Puzzler (2 words, 13 letters)," by Molly Petrilla. The Pennsylvania Gazette, November/December 2012. "Bernice Gordon, Prolific Crossword Constructor, Dies at 101," by Deb Amlen. Wordplay: The Crossword Blog of The New York Times, January 29, 2015. Obituary. "Bernice Gordon, Who Toyed With Words, Dies at 101," by Margalit Fox. The New York Times, January 30, 2015. Obituary. "Bernice Gordon, Jewish Crossword Maven, Dies at 101," by Benjamin Ivry. The Jewish Daily Forward, January 30, 2015. Obituary. "Bernice Gordon, legendary crossword puzzle writer, dies at 101," by Michael Vitez. The Philadelphia Inquirer, January 30, 2015. Obituary. "Bernice Gordon, doyenne of the crossword puzzle, dies at 101," by Emily Langer. The Washington Post, January 31, 2015. Obituary. "Bernice Gordon, longtime creator of crossword puzzles, dies at 101," by Elaine Woo. Los Angeles Times, February 3, 2015. Obituary. "Remembering Bernice Gordon," by Raymond Simon. GAMES World of Puzzles, May 2015. "Do What You Love, Even Into Your 100's!" by Kathy Bernard and Barbara Kline. Getold.com, December 4, 2015. "Metuchen crossword creator keeps at it," by Matt Auerbach. Edison/Metuchen Sentinel, January 7, 2004. "Frances Hansen Is Dead at 85; Wrote Poetry Across and Down," by Douglas Martin. The New York Times, July 15, 2004. "Kenneth Haxton: A Biography," by Noah Hilton. Mississippi Writers & Musicians, 1998. 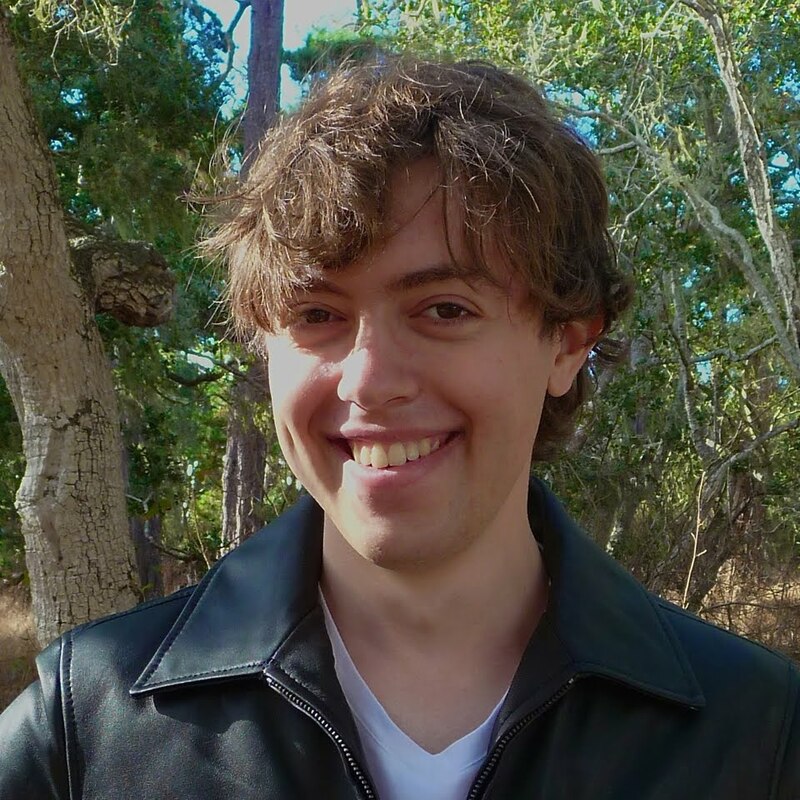 "Phone Interview with Kenneth Haxton," by Noah Hilton. Mississippi Writers & Musicians, 1998. "Teresa Healy." The Seattle Times, April 4, 2012. Obituary. "James Edwin Hinish Jr., 77, longtime legislative assistant on Capitol Hill," by Nicole Trifone. WYDaily.com, January 6, 2016. Obituary. "Long Hours, Low Pay Are Pieces Of Puzzles," by William Weir. Hartford Courant, April 28, 1999. "The Riddler," by Burkhard Bilger. The New Yorker, March 4, 2002. "Remembering Henry Hook," by Will Shortz. Wordplay: The Crossword Blog of The New York Times. October 28, 2015. Puzzle maker Henry Hook dies after a long illness. The Boston Globe, October 31, 2015. Obituary. "Crossword blog: farewell to the irascible Henry Hook," by Alan Connor. The Guardian, November 2, 2015. "An Appreciation: Thirty-one Down." New York Magazine, April 24, 2011. "Remembering Maura Jacobson," by Will Shortz. Wordplay: The Crossword Column of The New York Times, December 28, 2017. "Maura Jacobson, Creator of Witty Crosswords, Dies at 91," by Neil Genzlinger. The New York Times, January 1, 2018. Obituary. "Andrew J.S. 'Jack' Jumonville." Legacy.com (originally from TheNewOrleansAdvocate.com, November 12–13, 2013). Obituary. "Vaughn Phillips Montaigne Keith." Obituary. "Bertram 'Bert' H. Kruse." Obituary. "Ace Has No Cross Words For Tricky Word Puzzles," by Vince Leonard. Pittsburgh Post-Gazette, September 25, 1978. "Jordan S. Lasher, 48, an Author of Innovative Crossword Puzzles," by J. Michael Elliott. The New York Times, February 11, 1995. Obituary. Afternoon of a Faun: Tanaquil Le Clercq. Documentary. "Tanaquil Le Clercq." The Guardian, January 3, 2001. "Eileen A. (O'Hara) Lexau." Star Tribune, November 23, 2004. Obituary. 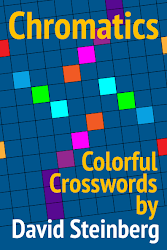 "Crossword Creator Had Passion for Puzzles: Remembering Eileen A. Lexau, 77," by Pratik Joshi. St. Paul Pioneer Press, November 27, 2004. This article is behind a paywall. Pictured on an NSA bowling team ca. 1947 (third link). WILLIAM LUTWINIAK, by Robert Farley. October 18, 1981. Formerly top-secret but now declassified NSA interview. NSA cryptanalyst and author of a declassified eulogy of Brigadier John H. Tiltman, 1894–1982, in the Cryptologic Quarterly. 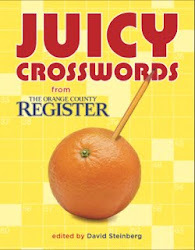 Mentioned in "Puzzle Makers Exchange Cross Words," by Randall Rothenberg. The New York Times, August 10, 1988. Mentioned in "When I Die, Bury Me 3 Across and 6 Down," by William Ecenbarger. Chicago Tribune, September 3, 1989. Mentioned in "Money Is the Word to Cruciverbalists," by Randall Rothenberg. The New York Times, September 17, 1990. "And the Wynner Is . . . William Lutwiniak," by Helene Hovanec. CROSSW RD Magazine, January/February 1992. "W. Lutwiniak, Crossword Puzzle Expert, Dies." The Washington Post, January 27, 1992. Preview only of an obituary. "In Memoriam: William Lutwiniak 1919–1992," by jbn [J. Baxter Newgate]. CROSSW RD Magazine, May/June 1992. A brief letter to CROSSW RD Magazine appears in the Letters column. "Jack Luzzatto," by Robert D. Spurrier. The Four-Star Puzzler, August 1981. 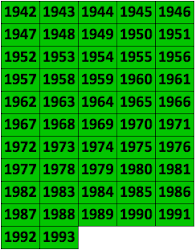 "Behind The Times: A Look at America's Favorite Crossword," by Helene Hovanec. CROSSW RD Magazine, January/February 1991. "Death Claims A Puzzle Master," by Dianne Copelon. Orlando Sentinel, August 5, 1993. Obituary. "Piecing it together: Local math professor makes crossword puzzles." The Post and Courier, December 24, 2016. "Always a Cross(ed) Word," by Mary Virginia Orna. ACS Symposium Series, Vol. 1153: A Festival of Chemistry Entertainments, Chap. 4, pp. 53–75. "Brief Biography of Mary Virginia Orna." From her personal Web site. "Pittsburgh Brides Like Modern Silver Designs," by Frances Walker. Pittsburgh Post-Gazette, September 12, 1957. "This T-Shirt is for Crossword Puzzle Freaks." Associated Press, Ocala Star-Banner, May 17, 1983. "Stafford Osborn, 70 Executive, puzzle editor." The Boston Globe, March 19, 1994. Full text is behind a paywall. "Resolution on the Second Retirement of Marjorie Lamont Pedersen." Tufts University, May 6, 1991. "Marjorie Pedersen, at 83; Devised Crossword Puzzles." The Boston Globe, April 20, 2001. Obituary. "Judith Perry." The Barre Montpelier Times Argus. March 4, 2011. Obituary. "Helen Lyle Pettigrew (1894–1977)," by Todd Gross. The Encyclopedia of Arkansas History & Culture, December 29, 2016. "West Coast Contemporary: Merl Reagle," by Helene Hovanec. CROSSW RD Magazine, September/October 1991 and November/December 1991. "Seduced by Sudoku," by Colette Bancroft. Tampa Bay Times, January 2, 2006. "Friends of crossword great Merl Reagle celebrate his life," by William R. Levesque. Tampa Bay Times, September 27, 2015. "The musical life of Merl Reagle," by Cathalena E. Burch, Arizona Daily Star, September 14, 2016. "Student, teacher re-establish bond after 50 years," by David Lombardo. The Daily Gazette, August 10, 2011. "Warren W. Reich." Times Union [Albany, N.Y.], December 30, 2015. Obituary. "Christy Ridley." The Daily News-Journal (Murfreesboro, Tenn.), January 10, 2015. Obituary. "Baraboo crossword man enjoys life on the square," by Vivian Hone. The Milwaukee Journal, December 26, 1973. "Interview with Mel Rosen," by C. C. Burnikel. L.A. Times Crossword Corner, April 10, 2010. "Mel Rosen (1941–2018)," by Will Shortz. The New York Times, July 26, 2018. "Let's Talk About Randolph Ross," by Jim Horne. Wordplay: The crossword column of The New York Times, August 15, 2009. "The Puzzling Pastime of Creating Crosswords," by John Saccenti. East Brunswick Patch, September 15, 2011. "'I Could Do This Indefinitely': John Samson," by Helene Hovanec. CROSSW RD Magazine, September/October 1994. "A. J. Santora 1919–2005: Dean of American Crossword Puzzle Constructors," by Dave Fisher. About.com. "Retired U.Va. Professor Still Building, Solving Puzzles," by Matt Kelly. UVAToday, February 8, 2010. "Dell's Champion Editor: Nancy Schuster," by Helene Hovanec. CROSSW RD Magazine, July/August 1991. "Crossword 'Villain' Is Anniston Mother," by Lauren Smith. The Anniston Star, February 4, 1968. "She charts future for friends," by Natalie Traylor. The Anniston Star, December 29, 1974. "An enigmatic career: Math alum is Wall Street Journal's puzzle guru," by Carley Mossbrook. Penn State News, December 27, 2014. "Dorothea Elisabeth Shipp." The News Virginian, August 20, 2009. Obituary. "Renaissance Man: Will Shortz," by Helene Hovanec. CROSSW RD Magazine, May/June 1992. "Sculpture Vulture: George Rose Smith." Litte Rock Culture Vulture, May 13, 2012. Weeper, Laugh!, by Irene Smullyan Sloan. iUniverse, 2005. Poetry by the author. "Times crossword puzzle creator dies." The Lewiston Journal, March 9, 1989. Obituary. "Who Creates the Newsday Crossword?," by Stan Newman. Stan Newman's Crossword Land. "Dr Maurice Joel Teitelbaum." Findagrave.com (originally from The Star-Ledger [New Jersey], November 21, 2007). Obituary. "Ernst Theimer, Chemist, 83; Studied Scents," by Richard D. Lyons. The New York Times, July 7, 1994. Obituary. "Judson Trent." The Washington Post, October 19, 1989. Obituary. "Thomas Westlake Underhill '45." Princeton Alumni Weekly, April 7, 2004. Obituary. "M.D. Puzzle Master Dispenses Mind-Bending Relief," by Peter Wortsman. The College of Physicians & Surgeons of Columbia University, Winter 2001, p. 47. "And the Wynners Are . . . Weng, Hook, Cox, Rathvon, Shenk, Pomerance, and Joline," by Helene Hovanec. CROSSW RD Magazine, March/April 1991. 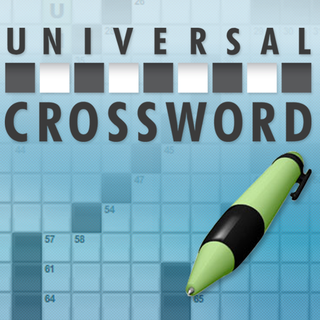 "Crossword constructors: Who makes up these mind-teasers?," by James Ricci. The Evening Independent, February 5, 1985. "Stanley B. and Rose M. Whitten," U.S. Tax Court, 1995. "Joy Lattman Wouk." The New York Times, October 2, 2008. Obituary. "An Evolution Spawned A Complex Art Form," by Ellen Goldensohn. The Palm Beach Post, December 15, 1981. Excerpt from a September 1981 article in Attenzione magazine. "Crossword Constructors," by Richard Chin. St. Paul Pioneer Press, December 26, 2002. This article is behind a paywall.